Smile Analysis and Designing in the Digital Era. “A beautiful smile increases your face value”. 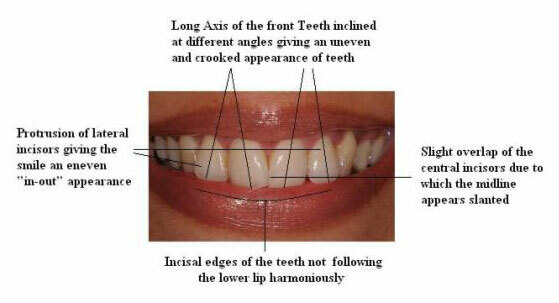 These are the shape of a smile, the size, the smile line, and the position of your teeth, lips, and gums when you smile. We listen to your expectations for your smile and what concerns you may have about achieving the look you want. 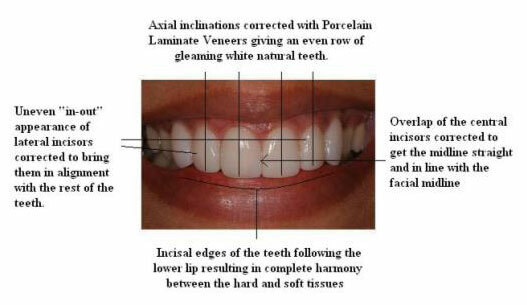 Once we have this information, we can create a customized Smile Design to fit your face. We listen carefully to you so that we understand your concerns about your current smile and your desires for a new one. We take digital photographs of your face and your smile, take x-rays of your entire mouth, and work up wax models to three-dimensionally recreate your current bite and smile. We analyze the proportions of your face to make sure that your new teeth are the perfect size, shape and dimensions to complement it. Finally, we build a model of your new smile so that you can actually see what you will look like…..